Brian Tuohy can’t prove the NFL is fixed, but he’s convinced it’s the truth. “I’m certain of it,” Tuohy tells me with a confidence only a conspiracy theorist can conjure. The Fix Is In covered how each of the professional sports leagues manipulates games to increase television ratings, and in turn, their popularity and revenues. Since then, Tuohy has kept a blog of the same name, chronicling the many ways in which the NFL has controlled the outcomes of games and deceived its fans into thinking they were watching “pure” competition. One piece of his evidence: The Green Bay Packers went 15–1 in the 2011 regular season, one win shy of a “perfect” record. But Tuohy points out the Packers didn’t have a single offensive holding call made against them in 11 straight games that season. Holding can be called on just about every play in an NFL game, so for it not to be called against one team for that many games is more than mere coincidence, argues Tuohy. It was, in his estimation, part of a coordinated effort to vault young Packers quarterback Aaron Rodgers to superstardom. Tuohy points out that the NFL is under no legal obligation to ensure a fair game. The games the league provides are entertainment, and it can produce that entertainment anyway it pleases. As proof, Tuohy cites more than 400 FBI files he secured under a Freedom of Information Act request for his second book Larceny Games. The files show the Bureau was investigating rampant gambling corruption in the league in the late-1960s and 1970s. That said, the Bureau was never able to bring criminal charges. 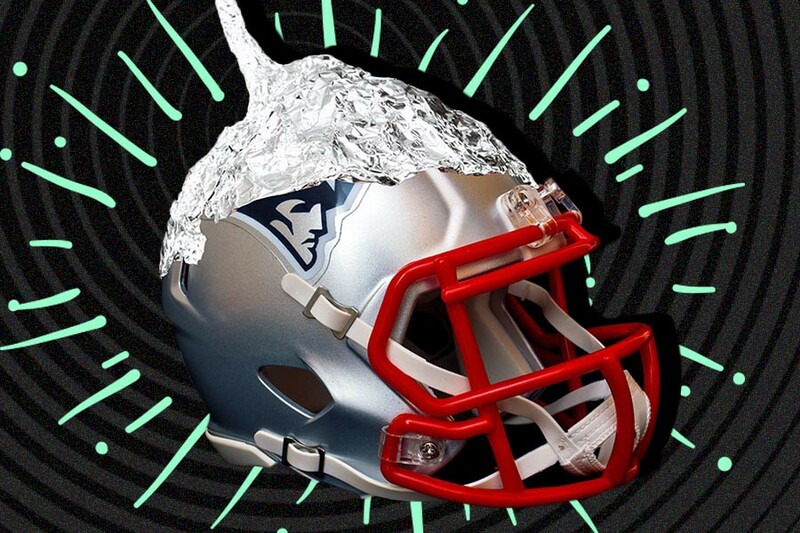 “Oh, God yes, it [still] happens,” San Diego–based journalist Don Bauder, a fellow NFL truther, says of Sunday point-shaving. Bauder first started covering the NFL in 1964 as a reporter at Businessweek. He left the job for the San Diego Union-Tribune, where he served for years as the paper’s finance editor and finance columnist. He retired in 2003, and now keeps a blog hosted by the San Diego Reader alt-weekly. At its founding, the NFL was financed by mobsters who had an interest in making sure games went a certain way, Bauder says. The gambling persisted, he alleges, until the 1980s, only subsiding once player salaries started to skyrocket and throwing games was no longer worth the risk for them. Still: “I don’t think it goes on as much as it did in the past, but I’m sure it does happen,” he argues. As proof of their beliefs, both Bauder and Tuohy could only speculate on possible scenarios and offer circumstantial evidence. They remain undeterred nonetheless. “People say, ‘Prove it.’ I’m sorry, I can’t prove it,” Tuohy says. “But if [game fixing] has happened once in the past five years or 10 years, because the league wants to further a certain story line, then the league has no integrity.